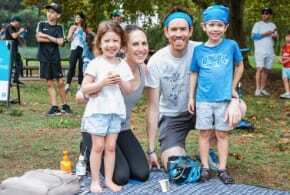 Over 800 people including Brisbane Lord Mayor Campbell Newman, Rabbi Levi Jaffe and Deputy Mayor Graham Quirk, gathered in Reddacliff Place on the third night of Chanukah, to celebrate the Jewish Festival. 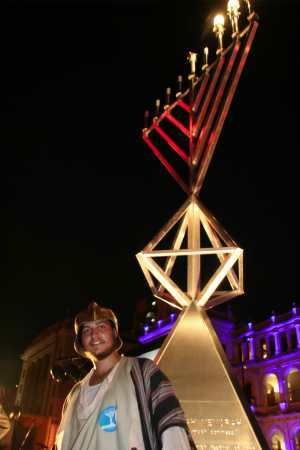 The highlight was the lighting of the brand-new six metre tall Menorah that had been erected in Reddacliff Place for the eight day duration of Chanukah. Rabbi Jaffe and the Lord Mayor were raised in a cherry picker to light the three lights marking the third night of Chanukah. The crowds cheered as the Menorah lights took full flame and shone across the square. A fabulous fire-show concluded the formalities. Rabbi Levi Jaffe, Director of Chabad Brisbane and Rabbi of the Brisbane Synagogue commented how beautiful it was to see so many people from all walks of life come and join together in community spirit to celebrate Chanukah. Ian Klug, Chairman of Brisbane Marketing MC’d the formalities, Senator Claire Moore read a message from Prime Minister Kevin Rudd sent for the occasion and Lord Mayor Campbell Newman was presented with a silver Menorah in recognition of his shining light and commitment to the city. The Lord Mayor was very moved and touched by the presentation and spoke how the message of Chanukah is so relevant to the vision of Australia’s new world city – Brisbane. The message of light, of peace, of harmony, is what all of us see for the future of Brisbane. 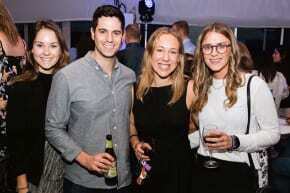 Chabad Brisbane’s adult education director Chanoch H Sufrin said the event was quite an achievement for Brisbane Jewry. 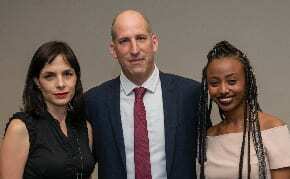 “Indeed, this was very special to be able to celebrate Chanukah and spread its message of light, peace and harmony, in the centre of the city”, Sufrin said. 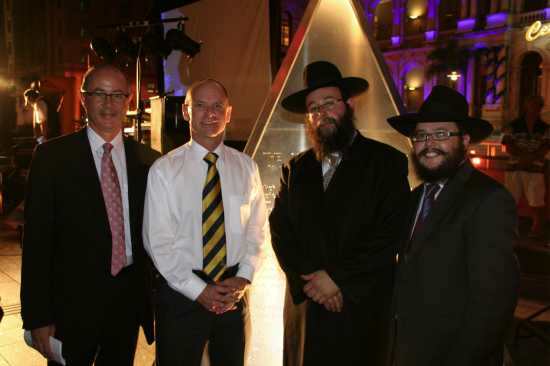 The event was organised and sponsored by Chabad Brisbane with the support of the Brisbane City Council, Brisbane Marketing and the local Jewish community. its good to see that.